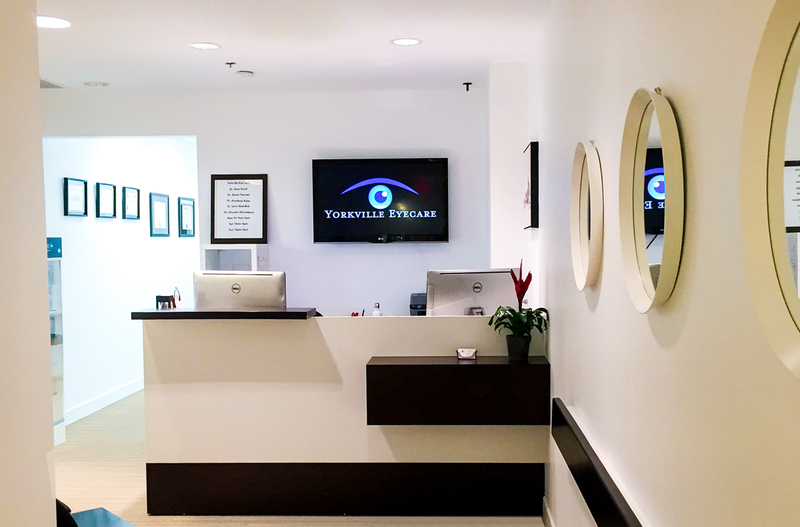 Yorkville Eyecare’s optometrists are passionate about ocular health. Extensively trained, they are highly experienced and dedicated to the practice of eye care service. Conveniently located at 50 Bloor Street West, our Yorkville vision clinic provides cutting-edge technology and products to give you perfect visual acuity and a comfortable exam experience. We offer comprehensive eye examinations that test vision as well as screen for common eye conditions and diseases. Find the perfect pair of glasses or the right contact lenses for you. Beyond eyesight, we test for signs of glaucoma, macular degeneration, high blood pressure or cholesterol, and other health conditions. Early detection is important for effective treatment and prevention of vision loss. Come by our downtown Toronto eye care office for your next eye exam. We look forward to serving you and your ocular needs.